They college was amazing, for a student they complain lot about college but deep down they always love their college and the faculty. The college is a very small college. But, inspite of being that it provides basic amenities to us. The teaching was good a few years back but has degraded now. Some of the teachers are good and teach the syllabus very well but some of them aren't good. The placements aren't very nice but the teachers encourage us to go off campus and give interviews. Overall, I would rate my college as average. 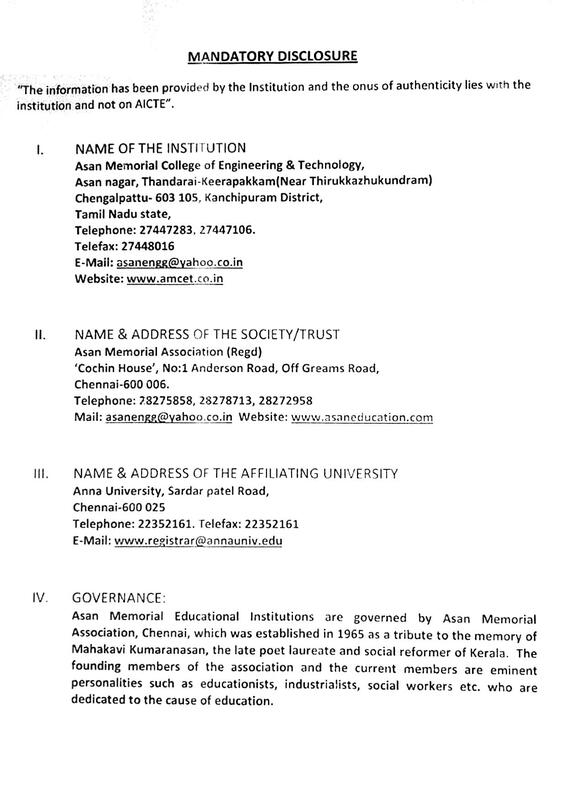 Asan Memorial College of Engineering and Technology is started in the year 2002 and is governed by Asan Memorial Association. It is the youngest member of Asan Memorial group of Educational Institutions. 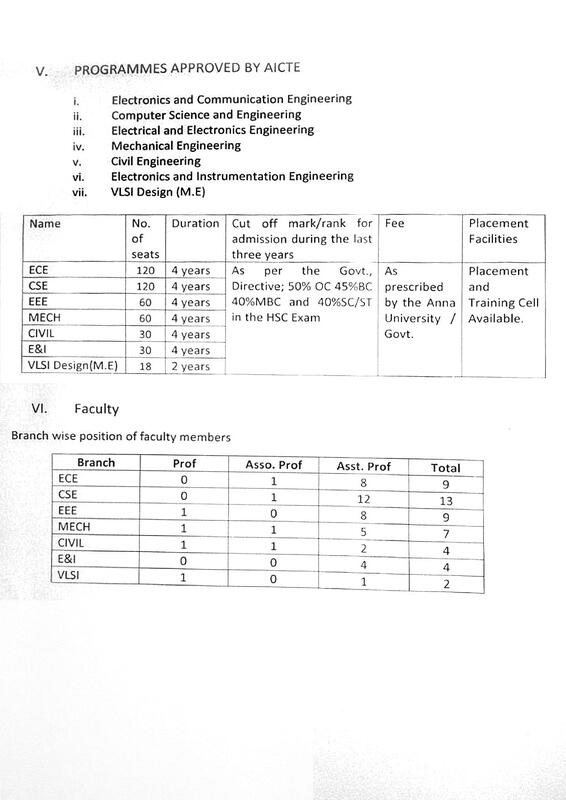 It is co-ed, non denominational institution that offers d=education to students in engineering and technology courses. Calydon Tech Solutions Pvt. Ltd.
Hostel: College has separate hostels for both boys and girls. Rooms in Boys hostels are available on the basis of thrice sharing. Boys hostel can accommodate 266 students and girls hostel can accommodate 189 students. Library: College has good spacious library. Library has 1800 volumes of books in 4500 titles covering all fields in engineering. Library also subscribes various journals and newspapers. "The learning years of my life"
I had taken IIT JEE and AIEEE 2012. Even though, i wasnt selected in IIT JEE, but i scored a 100+ marks in AIEEE. But I couldnt get into any NITs. 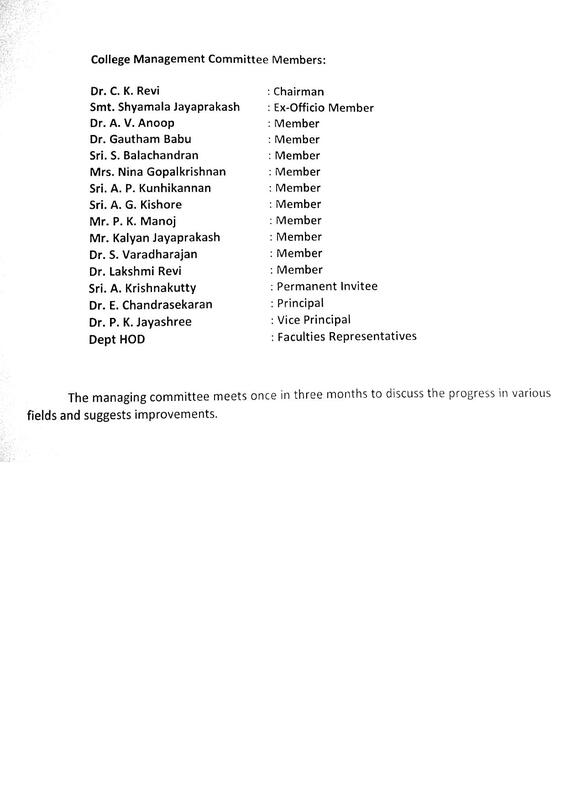 So I joined a Anna University affliated college. I have just given CAT exam and expeting a pretty decent marks. I ama also plannin to give the GATE exam.